We enjoyed our bag pack and the Christmas spirit was wonderful. There was a tremendous banter between the packers and shoppers, which all of us benefited from. We are really grateful to The Super Value management for facilitating our bag pack and the generous customers who supported us. Also thanks to our loyal volunteers who work hard on our behalf. We raised the total amount of €12,585. This most enjoyable and successful night was held at The Showboat, The Glen, Waterford and ended up raising €530. Bridget McGrath participated on behalf of The Marfans Research Foundation in this 10 km fun run and raised an incredible total of a total of €576. Kieran and Anita McGrath undertook this collection and raised a total of €476. 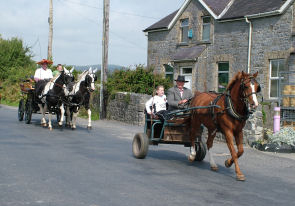 Billy Meany and his team of four drivers – Tony Flynn, Tommy Foskin, John Fogarty and Tom Kearns left Kilmacow village on Saturday, decked out in traditional dress from the Victorian era. 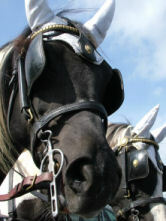 The beautiful weather added to the occasion and the five ponies and traps in succession was a sight to behold. The day was a tremendous success, thanks to Billy and his men, our volunteers and the generous donors. The total amount raised was €7,700. 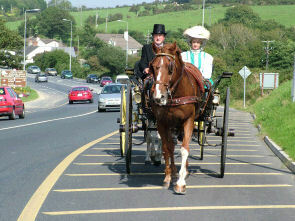 Michael and Geraldine McGrath participated on behalf of our Charity. Michael received many a glancing look, dressed in his attire! The sun shone brightly on the day and the atmosphere was magic. We raised a total of €1,132.36. Total amount raised was €973. Thanks to the Superquinn staff and loyal customers.